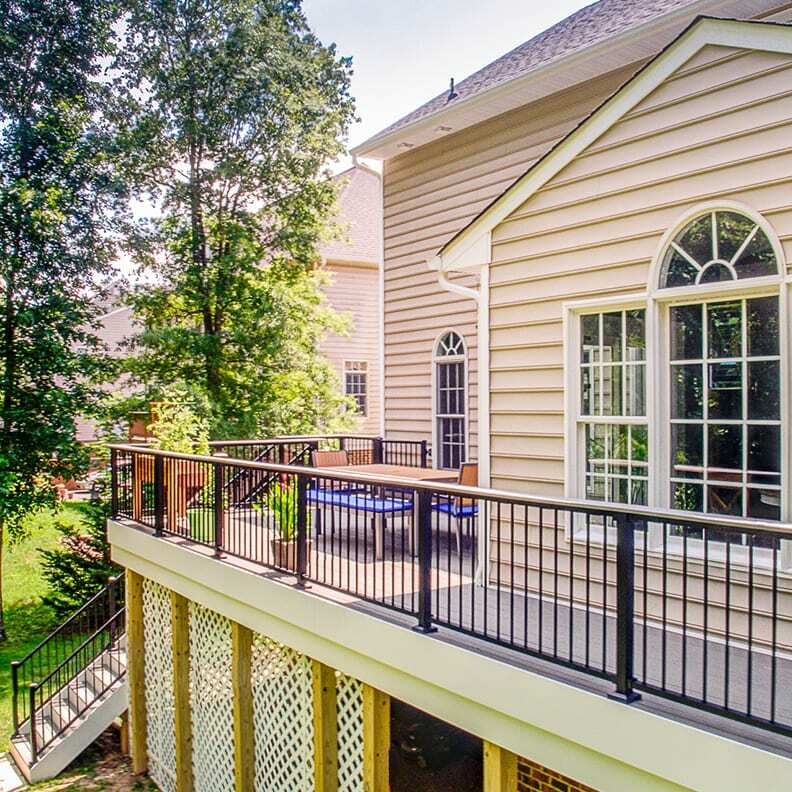 In addition to building beautiful decks in and around Richmond, VA, Deck Creations is also a premier local siding company. Our team will work with you to assess your vision, needs and budget for your home’s exterior makeover. Our siding experts are ready to make your dreams for your home become a reality. 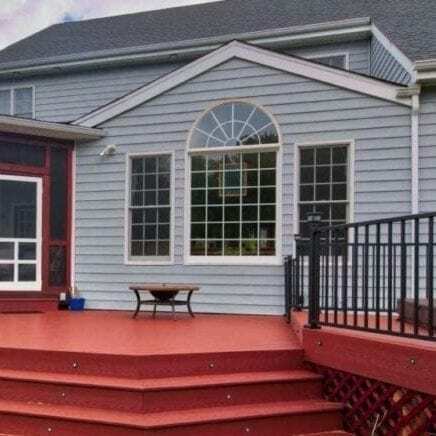 Whether you desire low maintenance and budget friendly vinyl siding, a durable metal siding or a higher end composite product, Deck Creations is here to help advise you through the home siding process. Vinyl siding is made of PVC resin which accounts for its durability and resistance to rain, snow, wind and ultraviolet rays from the sun. Vast design options with an endless array of vinyl siding colors. Beyond the traditional horizontally installed vinyl planks, planks can also be installed vertically to create a unique appearance. Shake vinyl siding also available. This is an affordable option that delivers the look and appeal of cedar siding. 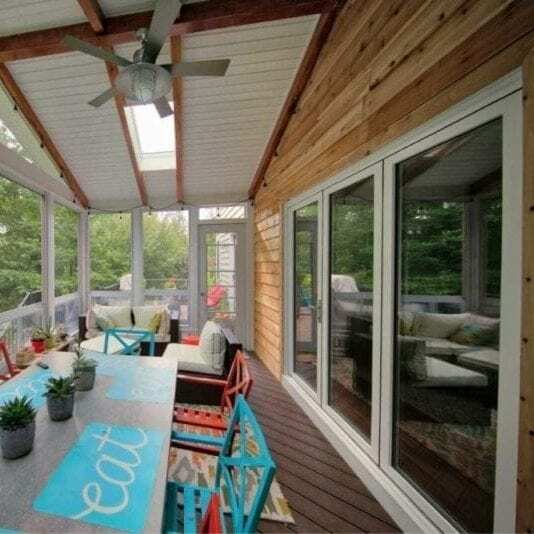 Deck Creations home design experts can assist you on creating a look you will love. Wood siding is a popular choice among those seeking to retain historical accuracy. Wood lap siding has been used since the founding of our Republic, so if you want to keep an authentic, traditional look, wood siding is the choice for you. Wood is a natural material and avoids the ecological pitfalls of plastic materials. 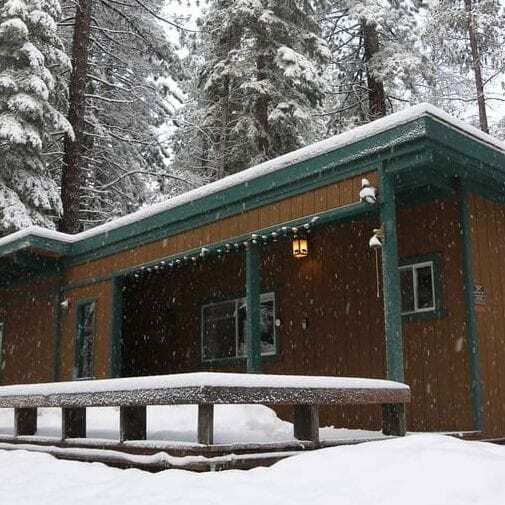 Wood siding comes in a variety of wood species including fir, pine, cedar, spruce and redwood. Because it is a natural material, wood siding can be cut to form traditional clapboard in various widths, board and batten, and wood shingles. Wood can be stained or painted in any color or shade you choose. It works well in combination with brick and stone looks. Maintenance requirements are significant as it must be repainted or stained every three to five years. Wood is susceptible to insects like termites and woodpeckers. If not properly maintained, it can lead to pest control issues and expensive repairs. It has a poor fire rating making it an unwise choice in dry climates. 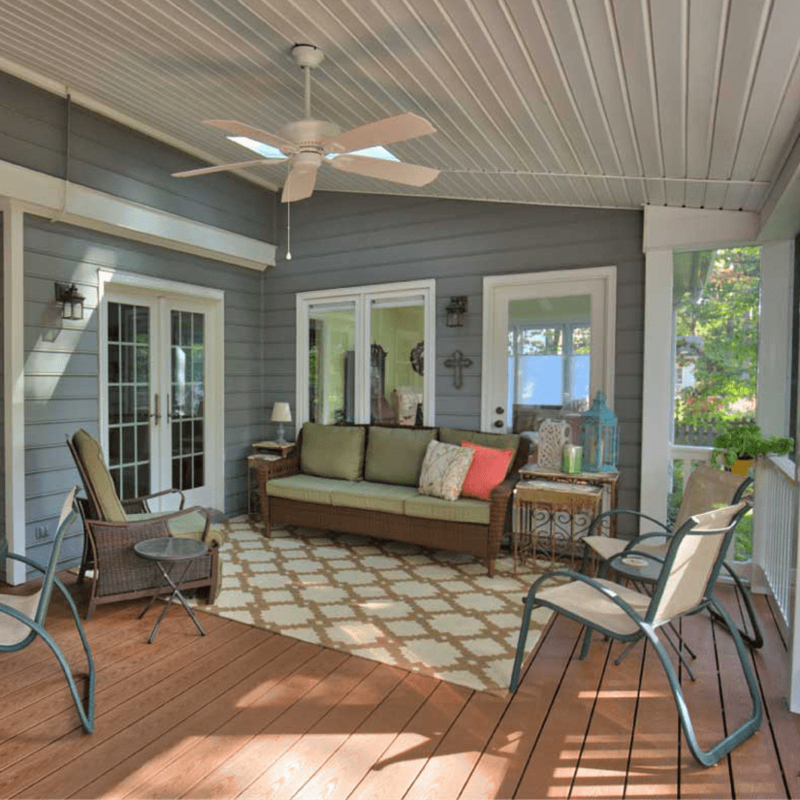 While often categorized as a purely industrial option or a tired throwback to the mid-twentieth century, steel and aluminum siding have come a long way in recent years. New coatings that prevent corrosion and “chalking” have changed the landscape of possibilities in metal siding. For our clients in the Virginia Beach area, metal siding is an excellent option as aluminum protects your home from corrosive salt air. Metal siding is more affordable than wood siding and is virtually maintenance free. It resists fire, weather elements and insects. Metal siding will help keep your home cool. While metal siding is an obvious choice for modern home styles, horizontal planks, rusted looks and vast color options make it a fit for urban farmhouse and other traditional homes. These products cost less than real wood siding and require less maintenance. They are an upgrade in quality and appearance over vinyl. This siding has a wide range of color options, though not as many as vinyl. They are termite-proof and resist fire mold, and rot. Maintenance requirements should be considered: it must be painted after approximately ten years, and then every three to ten years after that. When you have considered the options and decided upon a siding material, our design team will help you choose colors and textures. Your home’s age, condition, size and geographical location are all factors to consider when adding new siding. Further, your family’s lifestyle and level of desire to maintain your home’s exterior over time are other considerations. Our expertise can help you mix and match styles and coordinate colors that meet the desired appearance of your home. Our digital design tools will help you see your choices in three dimensions before you commit. Once you are satisfied with the plan, a contract will be produced and signed and a deposit collected. At this point, you will be given login information for our interactive construction tracking tool, BuilderTrend, which will help you follow the progress of your home’s project. Now, your home’s transformation can begin! Once materials have been ordered and delivered to your job site, our work team will get started. A dumpster will be delivered to your home for disposal of old siding and any scraps produced from the project. After the old siding and plastic house wrap is removed, new house wrap will be used to encase your home against moisture. This is when your new siding will be installed and your vision of a new exterior for your home starts to come to life. Once all siding and trim is installed to your satisfaction, our crew will clean up the job site and be sure it’s free of any trash or construction debris. At Deck Creations, we will address any concerns you may have. Once you’re set and the project is complete, we will collect the balance of the contract. If you have any questions about starting your next home siding project, contact us for a free estimate today! Contact a Home Siding Specialist Near You Today!